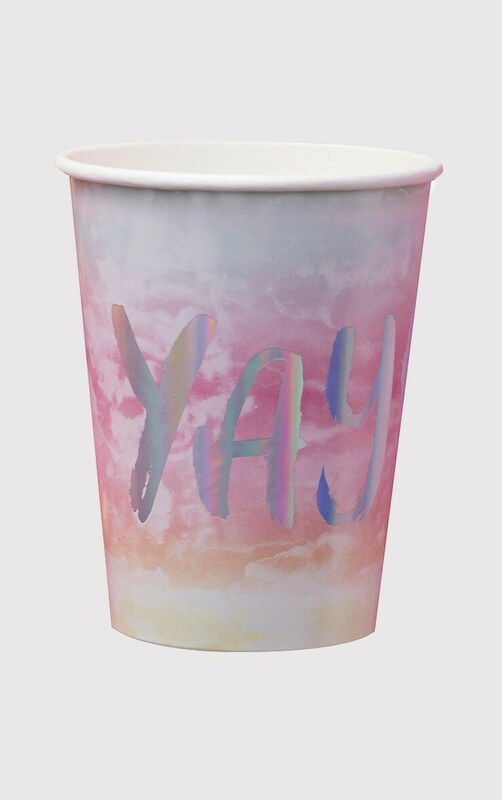 A super cute pack of 8 iridescent paper cups, each featuring a beaut 'Yay!' silver foiled print. These are perfect for any special occasion or celebration. 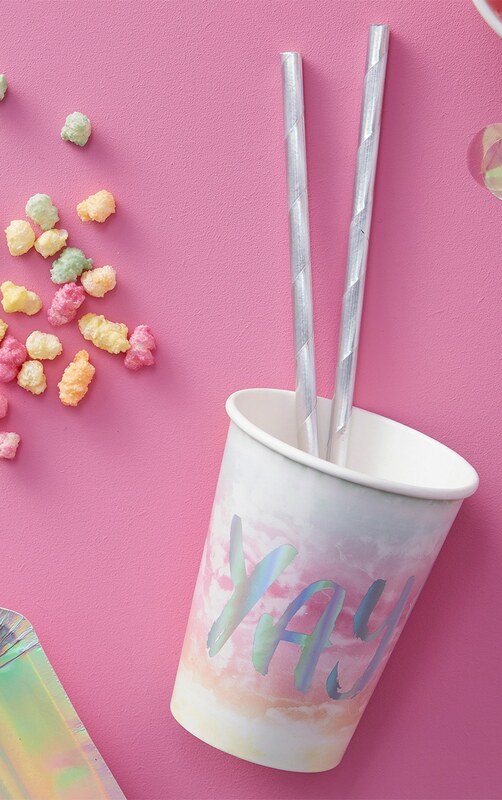 Match your cups with the plates and napkins in the iridescent range.